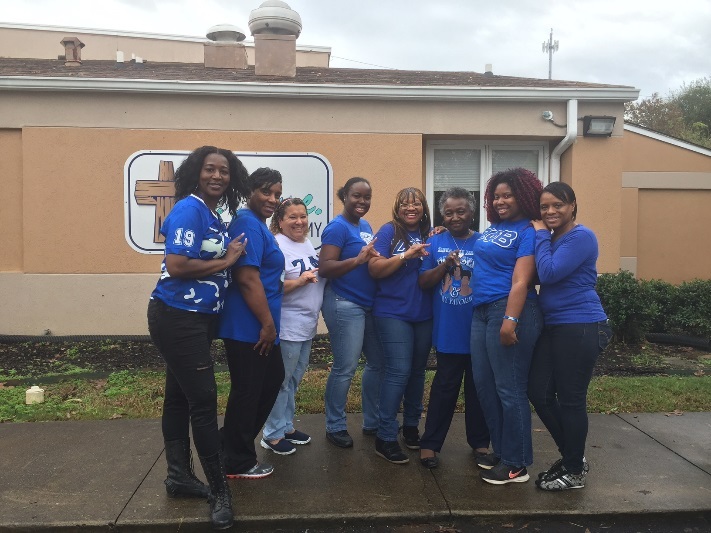 a school filled with laughter and enjoyment while displaying the finest principles of the Zeta Phi Beta Sorority, Inc. organization. 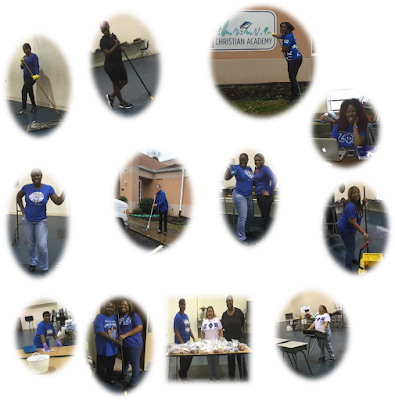 It was “all hands on deck” as Xi Xi Zeta’s finer women cleaned restrooms, common areas, hallways, and the multipurpose room. Classroom desks were rearranged to promote a more efficient learning environment. Assistance was provided with taking photos of books and posting online as a fundraising endeavor for the adopted school. A little over $500 was donated through various supplies such as hand soap, paper towels, toilet tissue, cleaning supplies, and two benches for the “Thrive Creative Readers” lounge. Unfortunately, due to shipping delays the benches will be painted at a later date “Royal Blue and White.” Each bench will display a placard that reads “Donated by Zeta Phi Beta Sorority, Inc., Xi Xi Zeta Chapter of Lithonia, GA”. The chapter also setup a computer lab in the multipurpose room where students will be able to engage in interactive online learning. Indeed, Sisterly Love, Community Service and Finer Womanhood was the epitome of this joyous and worthwhile event. We ended with a prayer and plan to meet again at the VA Hospital, 1670 Clairmont Road, in Atlanta, Georgia to deliver toiletries to the VA Nursing Home in honor of “Military Awareness.” We are indeed grateful to serve! To the GREAT State of Georgia: YOU ARE AWESOME!